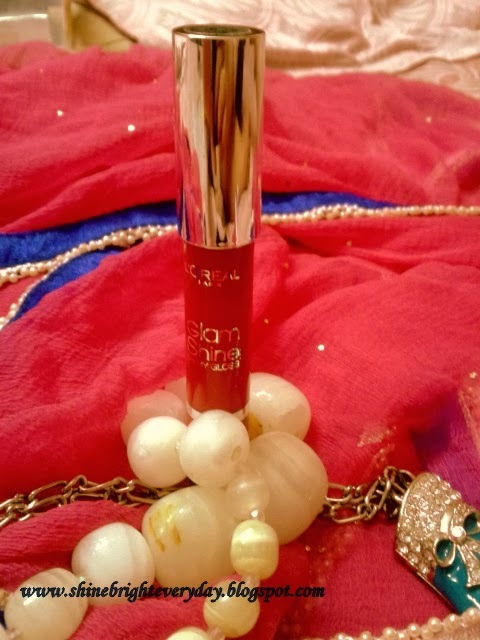 The l'oreal's glam shine balmy glosses have joined a race of the rapidly growing lip stains but what makes it out of the box is the PRICE. 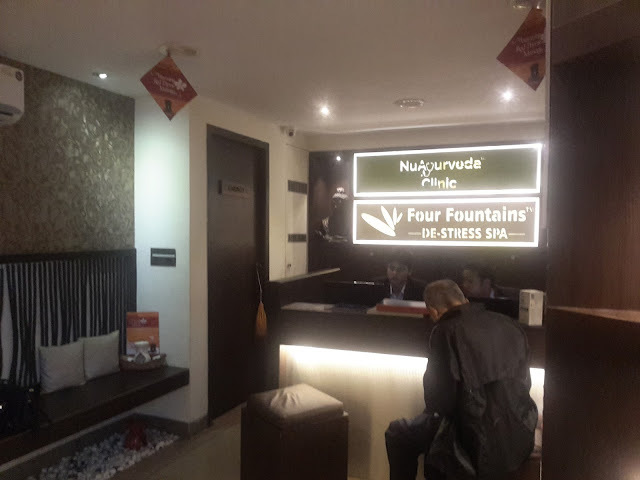 I find it lowest on price as compared to the other brands. 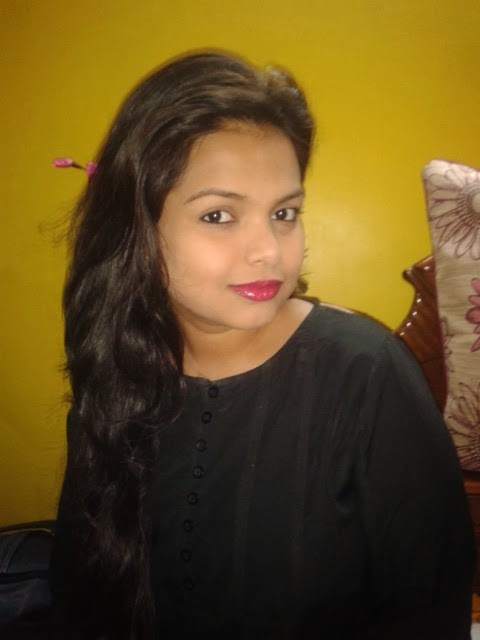 Though i have not tried any other lip stain before and this is my first from the stain family but one of my friend is using revlon's one and as per her opinion revlon lip stain stays for long but is quite drying on lips and i usually stay away from drying lip products. 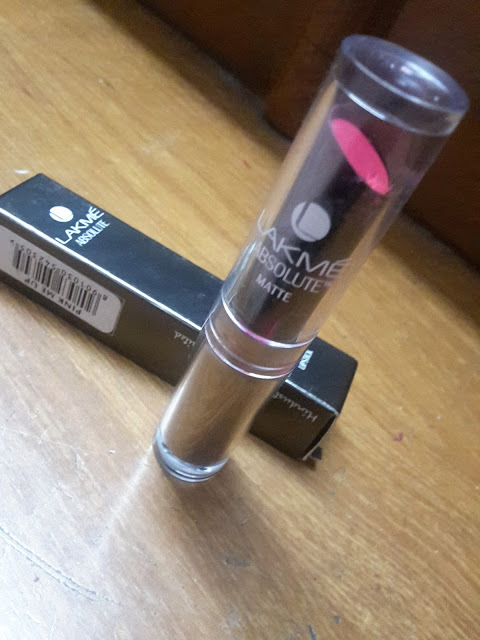 So, coming to the l'oreal one's, it comes in a sturdy twist up pen like packaging which is in reddened pink color similar to the lip color with a metallic cap on, the texture is super smooth and balmy and is quite comfortable on lips. 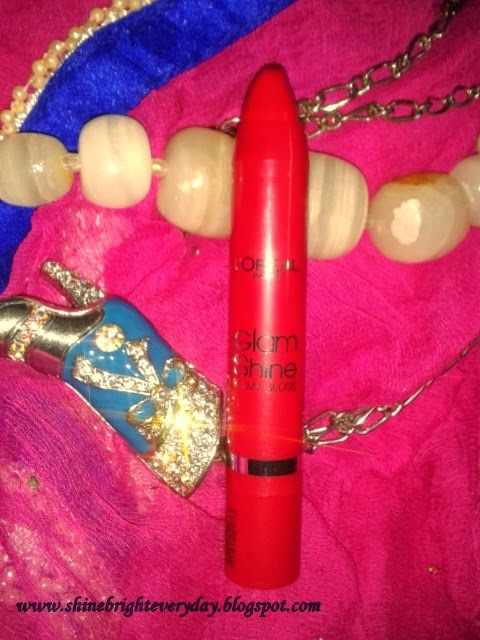 It glides smoothly on lips and gives sheer-medium coverage in a single swipe. The coverage can be build-up by adding up layers and it does not feel uncomfortable or heavy on lips even with multiple- layers. The formula is super hydrating and as the name suggests, it is somewhat between a balm and a gloss. 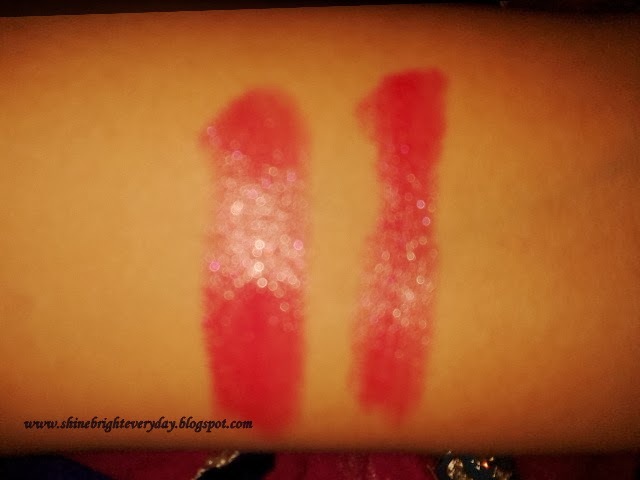 The pigmentation is pretty well and it does not bleed or settle into fine lines, i guess pomegranate punch is one of the most pigmented shade in the range. Though it does not stay for long as on me it wore for about 2 hours after which the glossiness faded but color started to wear off after 3-3.5 hours. 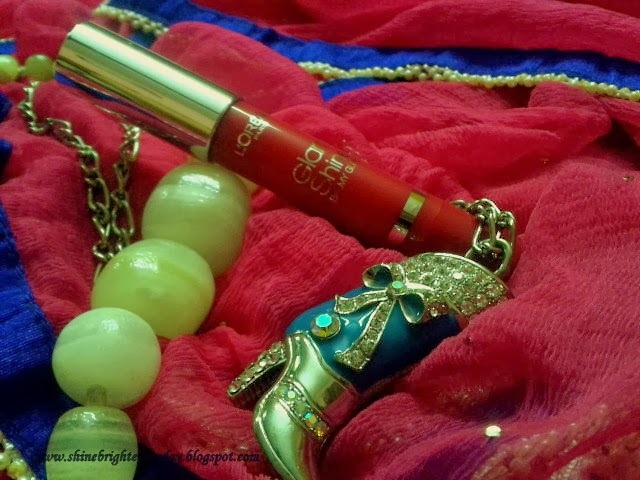 It leaves a soft stain behind which stays for about one hour but lips felt soft and supple afterwards. 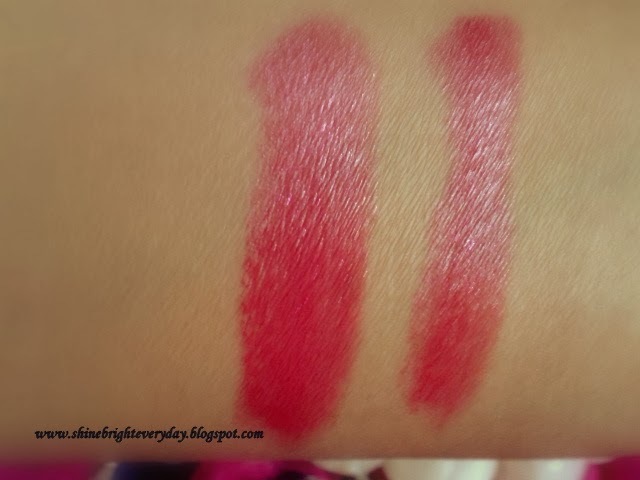 The shade Pomegranate punch is a beautiful deep berry reddened pink raspberry shade with a minute purple shimmer which i find a bit gritty when i rub my lips together but it does settles into fine line and it does not look patchy either. You don't have to worry about exfoliation before wearing this. 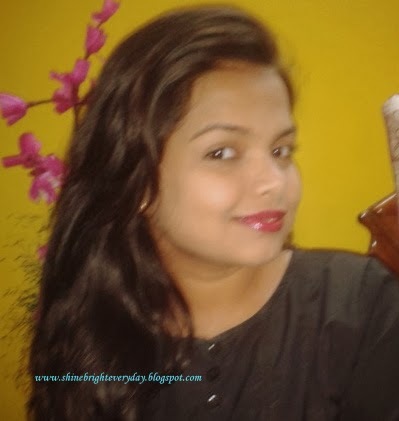 Despite the fact that it doesn't stays for long, the overall formula is excellent to try out and that too being the inexpensive product amongst others what makes it a MUST-HAVE. 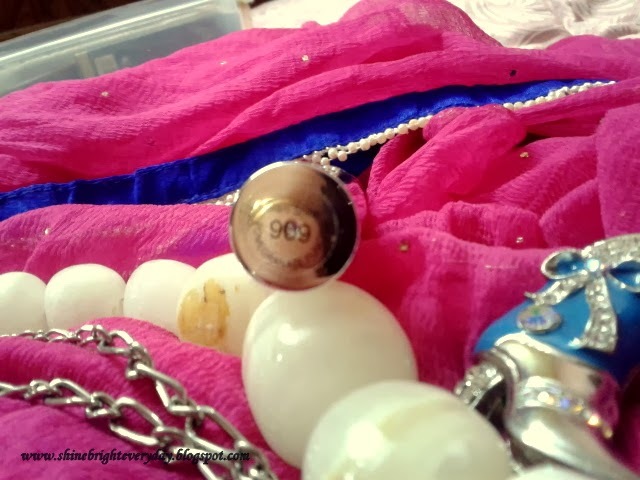 Though i find this shade bit louder and deeper, i love wearing this as a soft stain and it works well in winters.